We all get cold feet when it comes to addressing difficult issues in the workplace. It’s stressful, and you can’t help thinking about all of the ways that a well-meaning conversation could go sideways. You worry about the longer-lasting effects of a damaged work relationship, but know that you must correct problematic work performance or behaviors before they get out of control. In addition to employee resentment and lost productivity, there’s a bottom-line consequence for not tackling these tough talks at the right time and in the right manner. The key is to pay attention to the signals and not feed the problem with neglect. For starters, watch your team’s interactions with each other; be sure that each team member understands his or her key performance objectives; and take the time to check in regularly with each employee and solicit feedback about the job, team and overall company. Having direct conversations on a regular basis helps you nip problems in the bud and shows your employees that you care about their concerns. You also learn one another’s communication patterns so that when it comes time to have that awkward or difficult conversation, you both are less uncomfortable. When a group’s team members work remotely, the chances increase that signals can be missed. Coupled with the use of instant messaging and other forms of digital communications in place of direct face-to-face or voice communications, the sender’s well-intentioned messages may get lost in translation. Be sure to follow up any electronic communications with a direct phone call or meeting. 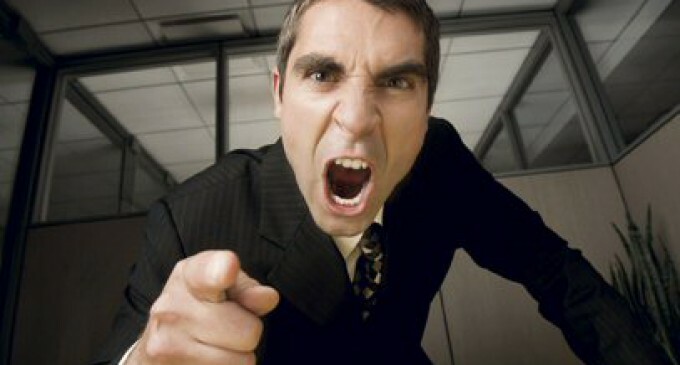 Managing conflicts with subordinates or co-workers is not fully taught in business classes. More common are courses that address project conflicts, where the focus is on fixing the “what” of the problem, such as resetting priorities, changing business plans, or repairing broken systems or processes. Fewer tools focus on understanding “how” teams communicate and repairing broken relationships. Be prepared to provide specifics and pace your conversation so that you take time to gauge your employee’s reactions to your comments. Focus your own viewpoint first. If you start out thinking that the conversation will be hard, you’re going to be more anxious and the conversation will be harder. Instead, think of this discussion as a means to enhance your relationship while helping your employee to improve skills, better understand company priorities, or contribute more productively to the team. Think about how you can deliver the difficult talking points with honesty, courage, and fairness. Seek the employee’s viewpoint. The last thing you want is a one-sided conversation. Slow the pace of the conversation, observe the employee’s reactions to your comments, and ask for feedback and suggestions for solving the problem. You may learn new information about what may have caused the problem, and the employee might offer even better solutions than you thought possible. Throughout the conversation, look for areas of consensus and acknowledge the employee’s feelings and concerns. Close the loop and follow up. Give the employee a day or two to reflect on the discussion. Follow up and ask the employee if he or she would like to have another discussion to cover any additional information or clarify issues. Put the action plan in writing, schedule regular status meetings, and recognize progress and improved performance. Great managers keep the conversation going to ensure that team members are aligned and supporting each other to create a healthy corporate culture and a successful company. When problems arise, they have the tough conversations to get things back on track. Handling these discussions well takes courage as well as empathetic listening and communications skills. Pay attention to the signals and develop your communications plan, and you’ll be more confident in tackling your next tough employee communications challenge. Laura Kerekes is ThinkHR’s Chief Knowledge Officer and leads the ThinkHR content knowledge and human resources service delivery teams. See more at www.thinkhr.com.